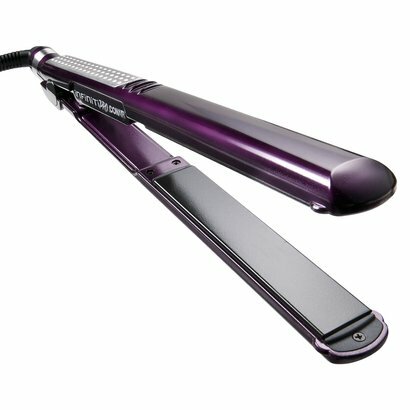 If you are looking to purchase a new flat iron, run , run before this deal is gone! Today only, you can get a Holiday Conair Pro 1″ Straightener with Gift Box in Plum (Bow Not Included) for just $17.99 shipped. Regularly $39.99, that’s a savings of 55%! And to make the deal even sweeter, it also includes .1-oz. package of Argan Oil for conditioning and anti-frizz. Did I mention that Argan Oil is my best kept secret for smooth, shiny and frizz free hair?? Love, Love it! !This is perfect as an “extra” to leave in your gym or travel bag for quick touch ups as well. Hurry – while supplies last!